Dr. Avnish Jolly, Chandigarh, 29th July : Voice of India singing contest winner Ishmeet Singh Sodhi died today under mysterious circumstances by "drowning" in a swimming pool in Male, the capital of the Maldives but his voice remains with us. Ishmeet, who arrived in Male’ this morning, to perform in the Star Voice of Maldives, slated to be held on August 1, 2008.Ish, 19-year-old singer son of Gurinder Singh Sodhi Grand son of Late S. Inderjeet Singh Sodhi, 32-A, Shastri Nagar, Ludhiana, Punjab, India had gone to Maldives for a promotional event with the music company with which he had a contract. Former Chief Minister, Capt Amarinder Singh has condoled the tragic death of the promising singer Ishmeet Singh in a tragic accident. In a statement issued from Dubai, Capt Amarinder said, it was too tragic to learn that the promising singer’s lefe had been cut short in such a tragic way. He said, he was not just the pride of Punjab, but of the whole country. Expressing his heartfelt condolences to the bereaved family, Capt Amarinder prayed for the peace of the departed soul. In his loss, Capt Amarinder said, it is not only his family, but the entire country which has been feeling the grief. He said, Ishmeet had won the hearts of millions of people quite at a young age. Joining Ishmeet’s family in the hour of his grief, the former Chief Minister said, the loss too unbearable and irreversible. He prayed for the courage to the family to face this grave tragedy. Chandigarh July 29: The Punjab Chief Minister Mr. Parkash Singh Badal today expressed profound grief and sorrow over the tragic demise of Ishmeet Singh whowon the title of ‘Voice of India-2007’ for his superb and scintillating performance in the singing competition at the all India level. In a condolence message Mr. Badal said that in the death of Ishmeet Singh the Nation has lost a gem and a void had been created in the circle of singing fraternity which was difficult to be filled. He said the outstanding performance of Ishmeet Singh would be ever remembered by one and all as he did proud not only to India alone but to the entire Punjab being a son of the Punjabi Soul. Mr. Badal expressed his heart felt sympathies with the members of the bereaved family and prayed to Almighty to give strength and courage to bear this irreparable loss and grant peace to the departed soul. Meanwhile Member Parliament and President SAD Mr. Sukhbir Singh Badal also mourned the death of Voice of India Ishmeet Singh who termed him as a icon of the singing world and said that his unique performance at the National level music concert would ever remain as a heart throb of millions of his fans. Information & Public Relations Minister Mr. Bikram Singh Majithia also expressed his condolences on the passing away of Mr Ishmeet Singh who brought laurels to Punjab through his rare of the rarest performance by winning the title of ‘Voice of India-2007’. Ishmeet’s death plunged the music world into mourning and leading playback singers Lata Mangeshkar, Abhijeet and Shaan expressed shock at the incident. "I was very happy when he won the Voice of India contest. Such a fate to befall one at such a young age. I have no words to express my feelings", said Lata. She said Ishmeet had an original voice and did not imitate anybody else. Delhi, July 29 :The Delhi Sikh Gurdwara Management Committee has decided to keep all its educational institutions closed tomorrow as a mark of respect to Ishmeet Singh, who died in Maldives today. DSGMC president Paramjit Singh Sarna said the death of Pride of India in such tragic circumstances had come as a shock not only to the Punjabi community but had sent shock waves throughout the world. Sarna demanded an inquiry into the drowning accident.Meanwhile, Punjab Chief Minister Parkash Singh Badal expressed grief and sorrow over the demise of Voice of India Ishmeet Singh. Badal said Ishmeet Singh would be long remembered as he did proud not only Punjab alone but also the entire nation.SAD president Sukhbir Singh Badal and public relations minister Bikram Singh Majithia also mourned his death. It is a big loss to the entire nation and specially the music industry. through Investigation in the accident happened with ISHMEET SINGH is necessary . His death become more suspicious as he was tried to be killed in the car accident just two weeks before his death when he was going from Mumbai to pune. WE CANNOT BELIEVE THAT IT WAS MERE AN ACCIDENT. Every body has mentioned about the unusually gifted adolescent who had an immense sense of dedication and discipline. It is really unfortunate that a swimmer loses his life in a function which is in the focus of media and music lovers alike. .It is ironical that we are asking for peace and strength from the same Almighty who has taken away Ishmeet from amongst us. Its really unbelievable and tough to accept that ‘Ishmit’ is no more with us. Ishmeet was really gud singer his voice had some magic its such a sad news for us and his family, its a very difficult situation for his family May god give peace to the soul of such a sweet person.i have no relations with this guy but feeling so bad for him & for his family………… i have no words for but happen may god bless the departed soul and give courag to the family … i will remember forever. 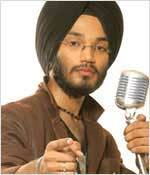 Ishmeet was a great up coming singer and it is a very big loss of music world. we will mis you but it is true your voice will be with us.